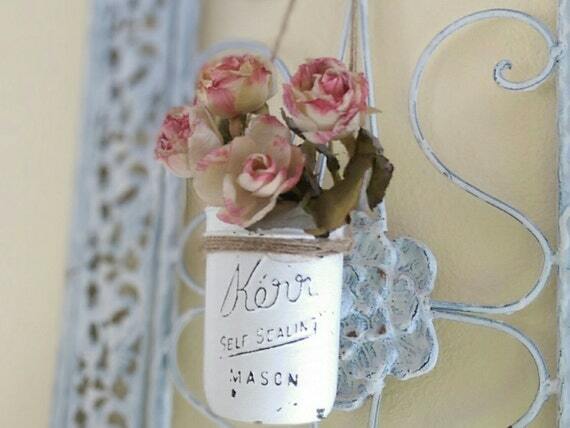 Description: One painted half pint size hand painted white mason jar, painted chippy white and tied with jute string for hanging. Jute string can be cut for shorter hanging. Flowers are not included. Color: White. Please note color tones can vary from monitor to monitor but should be reasonably close, if not exact, to what is shown. I use natural lighting to show true details. All background items, props, decor, flowers, etc., are not included.